Costa de Valencia Escuela de Español, is an academy dedicated to teaching Spanish since 1995. It is situated right in Valencia’s university area. Students who have completed a course will receive a certificate, and those who have passed an exam will receive a diploma. The centre is spacious, offers fully air-conditioned classrooms and an area for students to relax, with library, video library, computers and free WI-FI to use your laptop. The school supplements its Spanish classes with several different activities, like going out to eat paella, tapas dinner, salsa lessons, exhibitions, visit to the Valencia CF football field, etc. 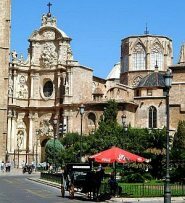 With this program, while students learn the language, they can enjoy a little vacation, practice the knowledge acquired in class, and learn about the society and lifestyle of the Spanish people. The teaching method is based on progressively learning the language, with personalized monitoring of each student in homogeneous and very small groups (a maximum of eight students), and free individual tutoring. The classes are taught by teachers with extensive experience and specific training in teaching Spanish as a foreign language. Tourist Zone: Valencia Terra i Mar. Languages: English, German, French, Italian, Dutch, Russian, Hungarian, Norwegian and Romanian. Activities: tourism, leisure and culture. Lessons start weekly with all levels of the European Framework, and also intermediate subcategories to guarantee that every student is in the right grade. Intensive course: the course consists of 20 lessons a week and two socio-cultural modules. It is possible to start any level of course - from beginners to mastery - any week of the year. 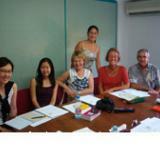 Supplementary courses: these are combined with the intensive course and consist of ten lessons a week. There is a wide variety: super-intensive, conversation, pronunciation, business Spanish, literature, tourism, Spanish film, recent Spanish history, Spanish football and Spanish culture. Preparation courses for the DELE and Chamber of Commerce(business and tourism) exams: courses designed to pass these exams. Both enrollment and sitting the exam may be done at the school. 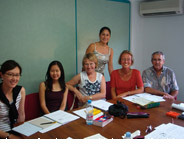 Long courses: aimed at Erasmus students and AuPairs. Groups with teacher: contact time with or without lessons, with or without an activity programme. Training programme for teachers of Spanish as a foreign language: individual courses, refresher courses, monographic courses. The school offers different accommodation possibilities for each student to choose the one that best suits their needs. Apartments shared with other students: located very near the school and fully equipped. This is the most economical option. Accommodation with a Spanish family: half board or full board. Easy language practice outside of class hours. Shared flat with other Spanish students: it combines the independence of sharing an apartment with language practice. University residence: bed, bed and breakfast, half board or full board. Hotels: the school manages reservations in hotels in the city for free. At Costa de Valencia Escuela de Español, the teaching is not limited to learning the language, but rather it includes knowledge of the culture and lifestyle of Spanish society.